Note: Apple watches with 10.1 version can no longer use AT&T Office@Hand. 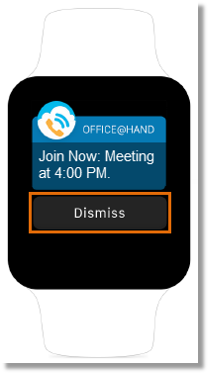 Can I install and use the AT&T Office@Hand app on my Apple Watch? 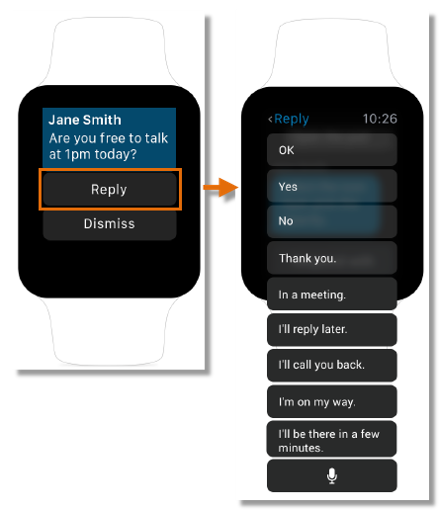 Note: By default, iOS will send 3rd party app notifications to the your Apple Watch, and not your phone, if your phone is locked. This is Apple’s iOS native behavior and Apple does not provide 3rd party applications a way to control where to send notifications. If you want to use the Office@Hand app on your Apple Watch and at get all Office@Hand notifications on your phone at the same time, you must force all notifications for a 3rd party app to only go to the phone. In the Watch App on your phone, go to My Watch > Notifications. Scroll down until you see Office@Hand under the MIRROR IPHONE ALERTS FROM: section and disable it for the Office@Hand app. 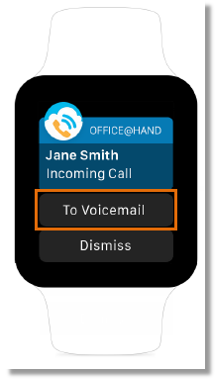 IMPORTANT: If you disable Office@Hand from the “MIRROR IPHONE ALERTS FROM” section of your “My Watch” settings, you will no longer get any notifications from the Office@Hand app on on your Apple Watch. 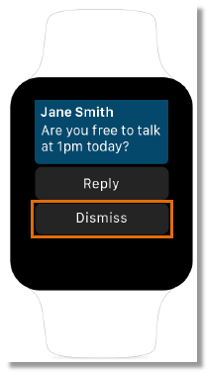 For more information about notifications on your Apple Watch, visit Apple’s documentation. Reply with a canned message. Fax cannot be viewed from an Apple Watch. 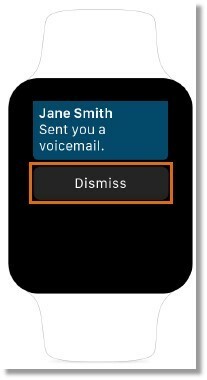 When you tap To Voicemail, you will be redirected to the Apple Watch Home Screen, and your caller will be routed to your voicemail.